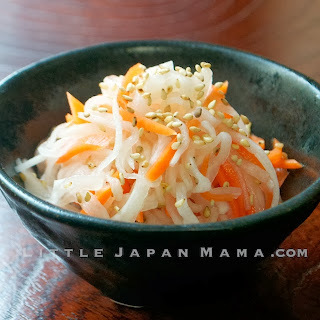 Houhaku Namasu is a simple side dish consisting of lightly pickled daikon radish and carrot. 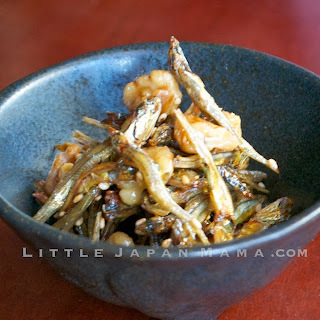 It is a traditional part of New Year Osechi Ryori, but it is great as a side dish any time of year. 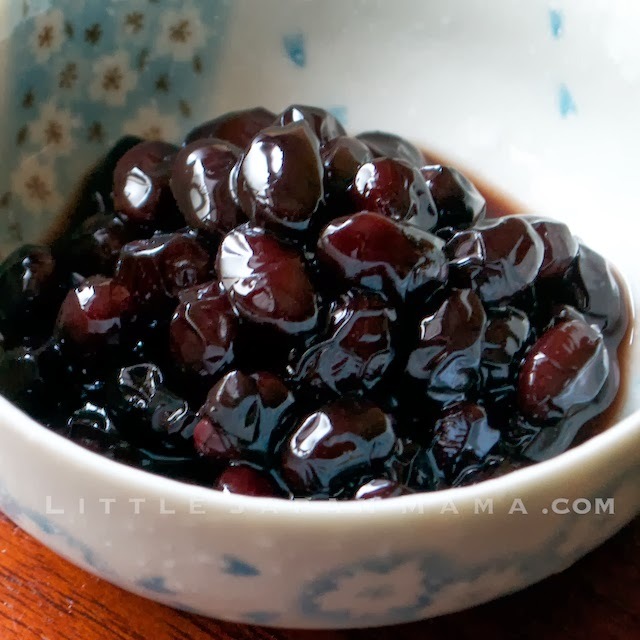 As it contains vinegar and salt, it stores well in the refrigerator for a few days. I love the refreshingly light, crunchy texture. 1. Peel and slice the daikon and carrot into thin matchsticks. 2. Sprinkle with salt and toss to coat. Let it sit for an hour or so (covered, in refrigerator) until the carrot and daikon have softened. 3. Drain the liquid and add vinegar and sugar to the daikon and carrot, toss well, let it sit for another half hour. 4. Drain excess liquid and serve sprinkled with sesame seeds if desired. 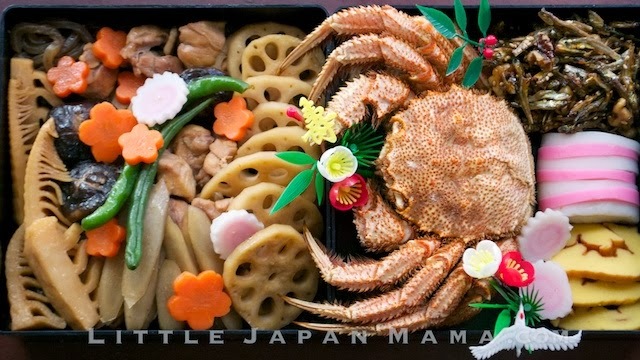 New year's is an exciting time in the Japanese food calendar. It is a time for families and extended families gather together to celebrate with traditions that have continued for hundreds of years. 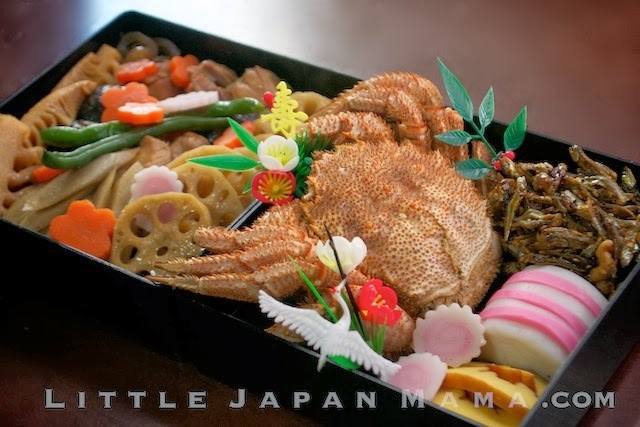 The food tradition is called Osechi Ryori. 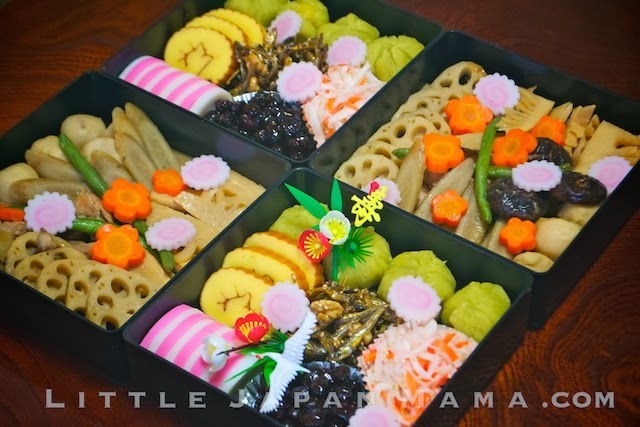 Osechi Ryori consists of multiple dishes, each with their symbolic meanings to bring blessings throughout the new year and into the future. The dishes are traditionally prepared on the days leading up to New Year's day, so they can be kept for at least a few days. Some dishes keep well for a month, refrigerated, and can be served at any time of year, celebratory or not, as side dishes or snacks. 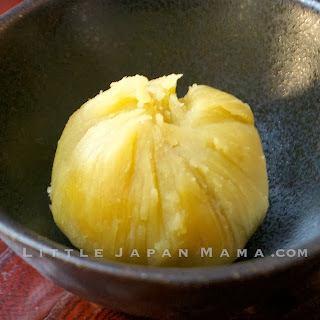 At other times of the year, these kinds of foods would be eaten as okazu with rice, but for New Year's, mochi is the staple, and usually served as part off a soup called Ozoni. These are some pictures of our simple home-made New Year's food for this year. Over the next few days I will be posting recipes for each of the dishes. Houhaku Namasu - Lightly pickled daikon radish and carrot, the red carrot and white radish being colours of celebration.